Days after rolling out the security patch for a bunch of devices, HMD Global is rolling out the April Security Patch for the Nokia 5 and the Nokia 6 2017, while Samsung is rolling out the security patch for the unlocked Galaxy S9. 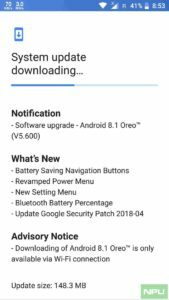 For the Nokia 6, the update comes along with a new Android 8.1 Oreo build V5.600. The same is the case for the Nokia 5 also, which is also getting the v5.6. Treble’s working. 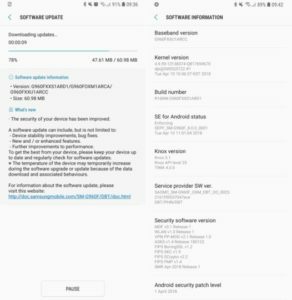 The update fixes eight vulnerabilities affecting Samsung’s software and seven critical vulnerabilities in the Android. Currently, the update is only available for the S9 and not for the S9+, though it may be arriving in some days for the latter also. The changelog for the update doesn’t contain any extra information, just the version number of the update (G960FXXS1ARD1/ G960FOXM1ARCA/ G960FXXU1ARCC). 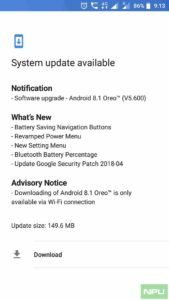 The Nokia 6 update is 148.3MB in size and patches among others, the Media framework critical security vulnerability that could enable any remote attacker to execute, within the context of a privileged process, any arbitrary code. with the same new features.